Manhattan Project National Historical Park offers tours at Los Alamos. 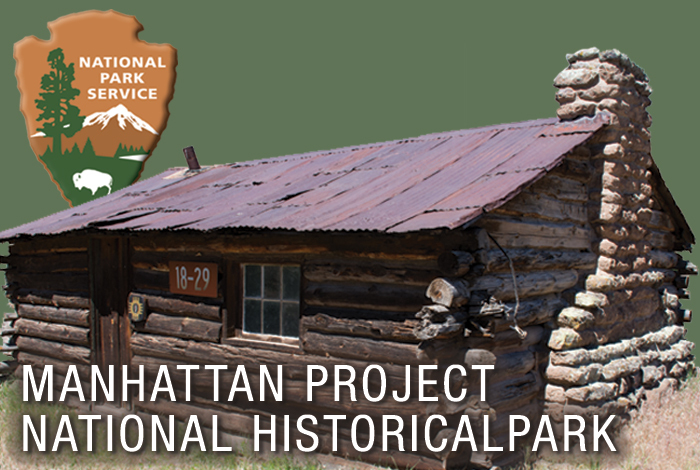 Los Alamos National Laboratory (LANL), in collaboration with the Department of Energy National Nuclear Security Administration Los Alamos Field Office and the National Park Service, will offer public tours of the Manhattan Project National Historical Park on April 5, 2019. Registration for the event is on a first-come, first-served basis. The day will consist of 4 tours of 25 people each, each lasting 3 hours. The LANL event complements the April 6 Trinity Site Open House located on the northern portion of White Sands Missile Range near San Antonio, N.M.
Members of the public are invited to register for the tours on Event Brite beginning February 25, 2019 at 10 a.m. LANL tour participants must be 18 years of age, U.S. Citizens, and provide proof of citizenship at the tour check in.